Concerns by Philippine health and science professionals that the disastrous Dengvaxia mass dengue inoculation programme would affect other public health programmes is rapidly coming to fruition, with a measles (locally: tigdas) outbreak the first signs of the blowback. For the third time this year the Philippines Department of Health (DOH) has declared a measles outbreak in the country, following an outbreak involving 222 cases in January in Davao City, and 166 cases last month in Zamboanga City. According to Abdullah Dumama, DOH Region XI director, surveillance reports show that measles started to increase in Zamboanga city in August last year, some three months before the limitations of the Dengvaxia vaccine were known. Of the 224 cases, he said, 119 had not been vaccinated. 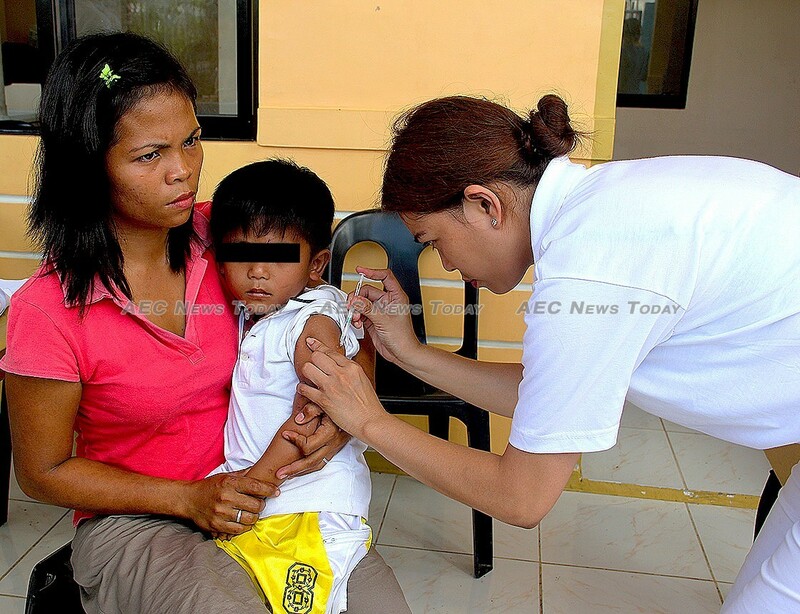 While the current numbers are small — the most recent outbreak in Taguig City is currently less than a dozen cases — the Integrated Provincial Health Office (IPO) in Negros reported Monday that it had recorded four deaths from measles outbreaks in seven Negros Oriental towns. That the outbreaks are occurring over such a wide geographic region is causing public health officials concern. The last time the Philippines recorded a measles outbreak was in 2014, with some 58,0o0 cases and 110 deaths being recorded. In the wake of the epidemic Philippine health officials introduced a mass vaccination campaign with the effect being that outbreaks such as those occurring now are unprecedented. Despite no deaths being linked to the Dengvaxia immunisation programme initiated in the dying days of the previous Benigno Aquino III administration, the almost daily appearance of grief-stricken parents and relatives of a child previously inoculated with Dengvaxia and who has subsequently died splashed on the nation’s newspapers and television screens is having a terrifying effect on parents. Speaking at a news forum last week Philippine Health Secretary, Francisco Duque III, revealed that since the Dengvaxia fiasco had occurred there had been a rapid decline in the number of parents presenting their children for routine vaccinations such as polio, chicken pox, tetanus, and measles. From the previous ideal rate of 85 -90 per cent, he revealed that early last month the rate had plummeted to just 60 per cent. Explaining that the Philippines should have “zero cases” of measles, Mr Duque said parents had gotten scared of vaccinations after news broke of problems surrounding the Dengvaxia programme. In late January a group of 58 doctors and scientists including two former chiefs of the DOH voiced concern over the public hysteria around the disclosure by French vaccination giant Sanofi Pasteur that its Dengvaxia vaccine should not be used on those who had already been exposed to the dengue virus. Saying that the public bickering between the government and other concerned parties was generating “unnecessary fear and panic” due to “imprudent language and unsubstantiated accusations”, the group warned of the effect on existing public health programmes. “If this trend continues, then we may find ourselves faced with outbreaks of debilitating and life-threatening diseases that we have already been able to control through our vaccination programmes” the group warned, adding that some parents were even now wary of deworming their children. Will Rodrigo Duterte Drag The Philippines Back To The Marcos Era?